On behalf of the MIT Club of Northern California (MITCNC) and the MIT Young Alumni Leaders Association (MITALA), I am very pleased to be co-hosting a talk by Joe Chen, an MIT alum (G ’95) and CEO of RenRen (aka the “Facebook of China”), publicly traded with a $2.8 Billion market capitalization. Joe is one of the most influential Internet pioneers in China and is not in the U.S. very often, so this is a great opportunity to meet him. Joe will be interviewed by Jeff Yang of the Wall Street Journal, who has flown in from DC for the occasion, about how social networking will transform traditional business sectors and where he is making personal investments. Details follow below for those interested in registering for what promises to be a great event, particularly in light of Facebook’s much-anticipated upcoming IPO. 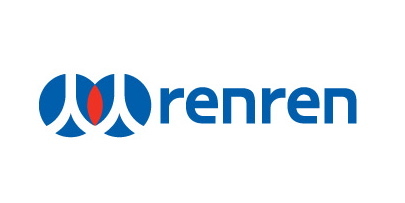 Join MIT and Harvard alumni for an evening of networking and a fireside chat with MIT/Stanford MBA alum, Joe Chen, CEO of Renren (NYSE:RENN). Renren, often dubbed the “Facebook of China” with 147 MM users and $2.4 Billion in market cap, is a rollup of Chinese equivalents of Zynga, YouTube, Groupon and more. Joe, a pioneer of China’s Internet industry, will share what it takes to succeed in China, lessons learned, and where he’s investing now in the broader social networking space, from mobile to financial services. .
Seats are limited. Get tickets & more details here: http://joechen.eventbrite.com. This event is co-hosted by the MITCNC, in partnership with the Harvard Clubs of San Francisco & Silicon Valley, and the MIT Global Entrepreneurship Network. This entry was posted in Companies, Innovation, Social Commerce. Bookmark the permalink.